Love Seaford? Be part of something big…Seaford’s Community Bench is an exciting sculptural seating attraction due to begin installation at the beginning of spring 2017. Located on Seaford’s pier close to the Martello beach huts and Seaford Head cliffs, the bench represents a stream meandering the length of the pier. Swimming through the pier are seven monumental mackerel benches. This sculpture is designed to benefit the whole community and with your generous sponsorship, together, we can make it happen! The seven large sculptural benches are each available for sponsorship. These unique benches are made by local sculptor Christian Funnell and are already being heralded as an iconic attraction for Seaford. A monumental mackerel plaque represents the ultimate memorial and a generous gift to the people of Seaford. Prices are £1,000 per plaque. It would be fantastic to have Seaford's many organisations represented on the mackerels, a great insight for visitors and locals alike into the vibrant life of Seaford. For the romantic amongst you, the love fish is a fantastic engagement or wedding gift, or just to say happy anniversary to the one you love. 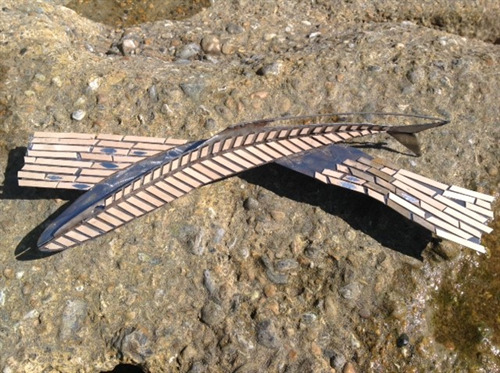 Pairs of brass or stainless steel fish hang riveted together on the mesh barrier to form a bunting design. The fish are engraved with two names of your choice and linked by a heart. There will also be fabulously fishy sponsorship opportunities available once the main sculptures are complete. 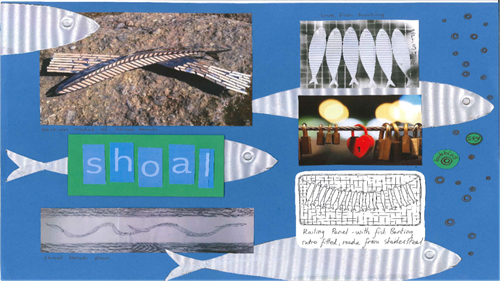 Choose from a range of stainless steel fish shaped plaques, which will be set into the hardwood slats coming together in a flowing shoal, swimming the length of the stream; a celebration of the life of Seaford's community. Get in touch to arrange your plaque now by email craig.williams@seafordtowncouncil.gov.uk or call 01323 872 975.